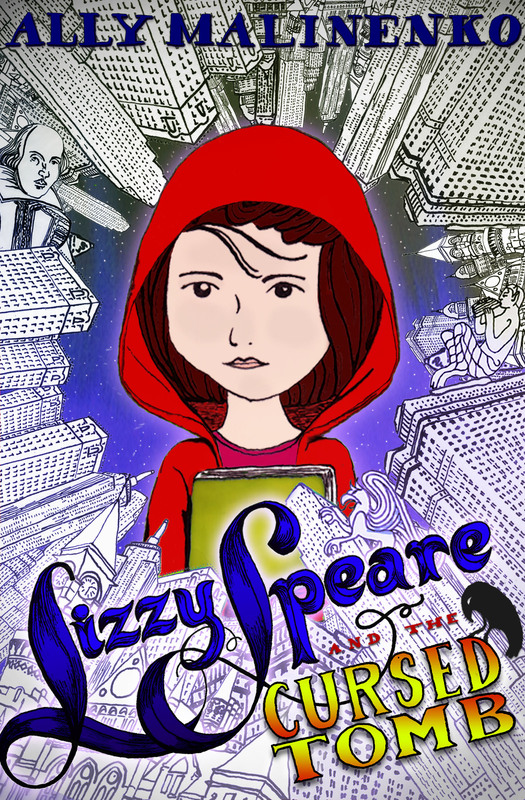 My first novel Lizzy Speare and the Cursed Tomb is available! It’s been a crazy windy strange journey to get here and as many of you know, this is something I have been working towards for a long time. And I’m so glad I can finally share Elizabeth Speare (Lizzy as she prefers) with you. I hope you like her and her Muse, Jonathan and her best friend Sammy as much as I do. So I want to thank all you in advance for your support and love and cheers and honest criticism and for listening to my fears and whining and well, just thanks for everything. My #MsgToYoungerSelf is that not knowing how it’s going to work out is part of the ride. Now, relax. And I mean it. In the end, it’s all going to be worth it. And I’m just so excited – excited for this, excited for the second part of her story, which I’m already working on. Excited that tonight we’re getting a pizza and watching Never Ending Story. Life’s good. Like my friend says, Every Step is a Step Forward. Here’s to moving forward! Make art! Play your ukulele!